Office of the Chief Medical Officer of Health (CMOH), Berhampore, Murshidabad district ,West Bengal Government, declared/published Physical Document Verification list of “Data Entry Operator (DEO)” Recruitment for “Data Entry Centres (DEC)” for the “Civil Registration System (CRS- Register of Birth & Death department)” for the district of Murshidabad. 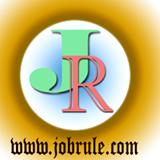 Contract Basis Data Entry Operator Job (DEO Job) in Murshidabad CRS Department. Murshidabad DEO CRS Final examination Result declared. Document verification date 26th July to 29th July as per prescribed schedule time table. Must Remember : The candidature for them will get automatically cancelled without further intimation to them who would fail to remain present for this document verification on the schedule date & time. No communication in this regard will be made individually to the candidates. No communication from the candidates ,over phones or mail will be entertained . List of candidates (Murshidabad CRS-DEO-DEC Job Result 2016) with valid application Id (like 53114, 53115, 53122 etc) of Data Entry Operator for Data Entry Centre under Civil Registration System-CRS for Murshidabad district, direct Link (Result link -pdf format) given below . Wish you all the best.